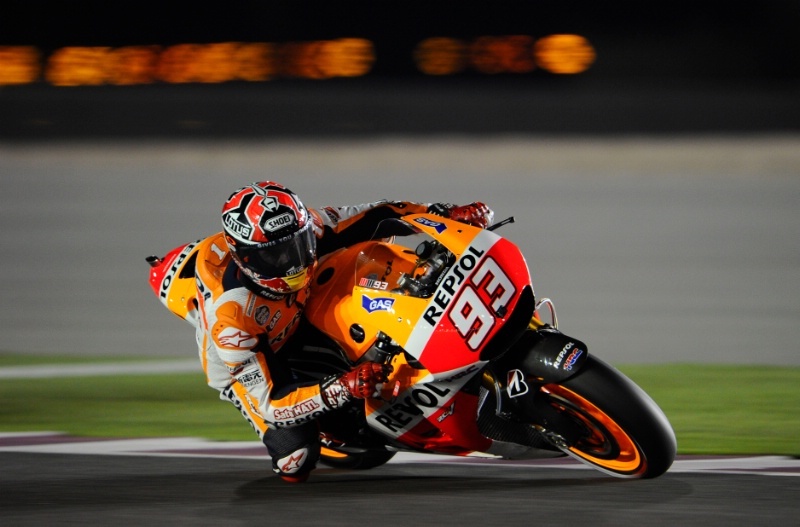 Qatar MotoGP, Losail - Race Results Mar-23-14. 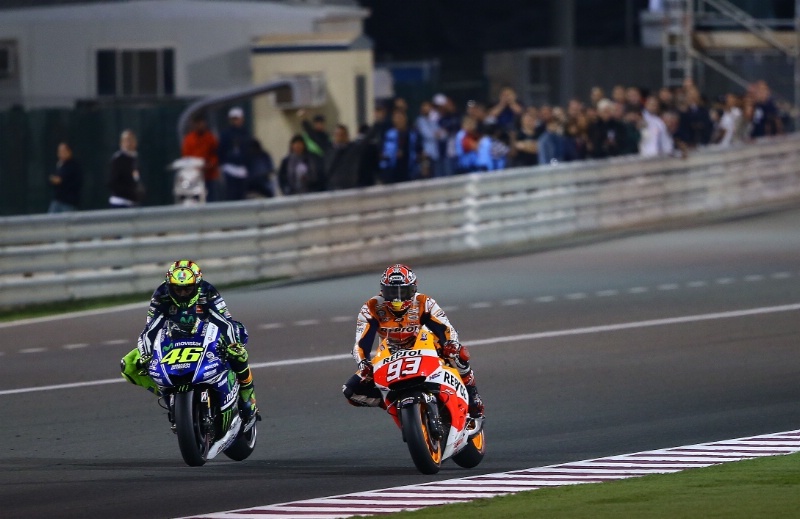 Marc Marquez won a thrilling MotoGP season-opener in Qatar after holding off a charging tenth-on-the-grid Valentino Rossi by just 0.259s. 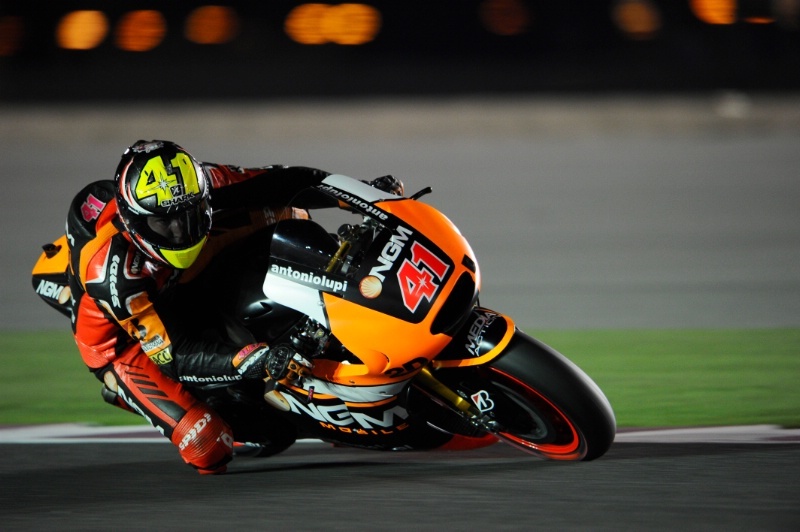 Qatar Moto2 - Race Results.Mar-23-14. 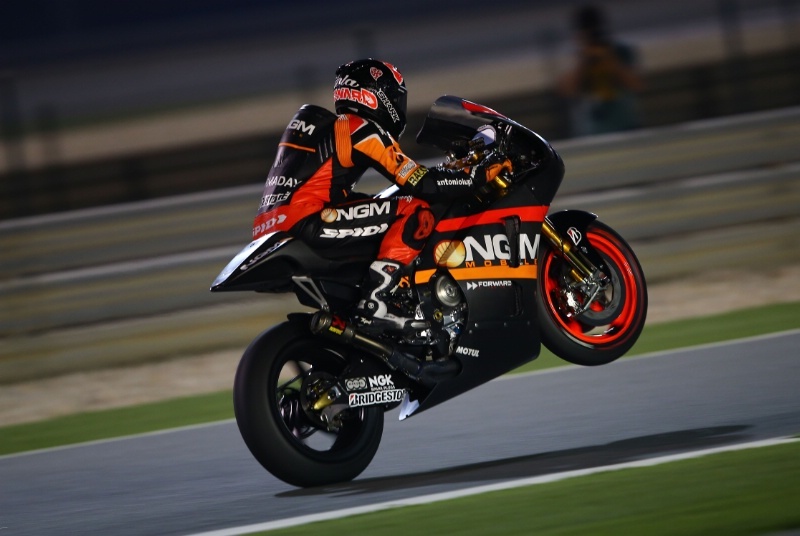 Practice leader Aleix Espargaro fell on only his second flying lap of qualifying, forcing him to rush back to the pits for his spare bike.... He returned but then fell again, while on course for pole! 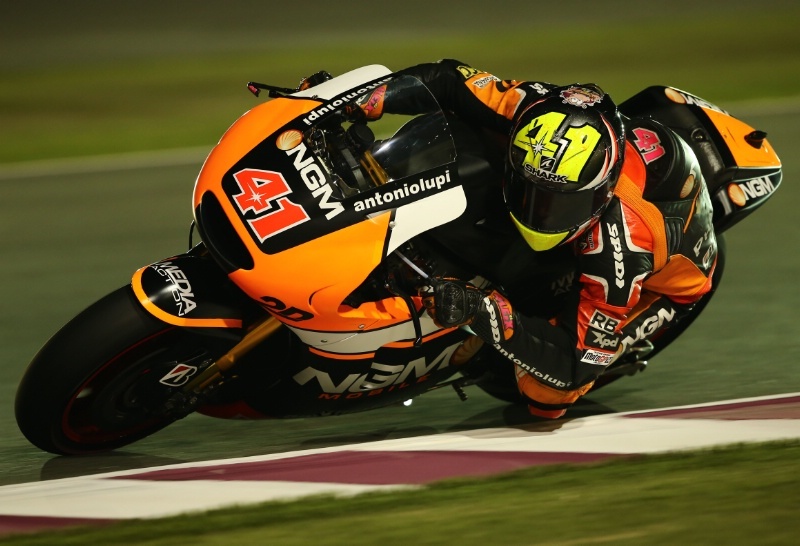 Qatar MotoGP, Losail - Free Practice (4) Results Mar-22-14. 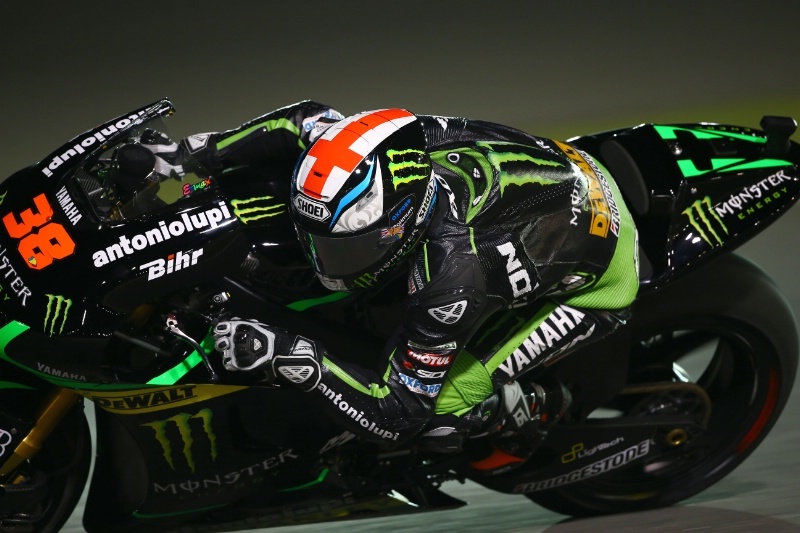 Qatar MotoGP, Losail - Free Practice (3) Results Mar-21-14. 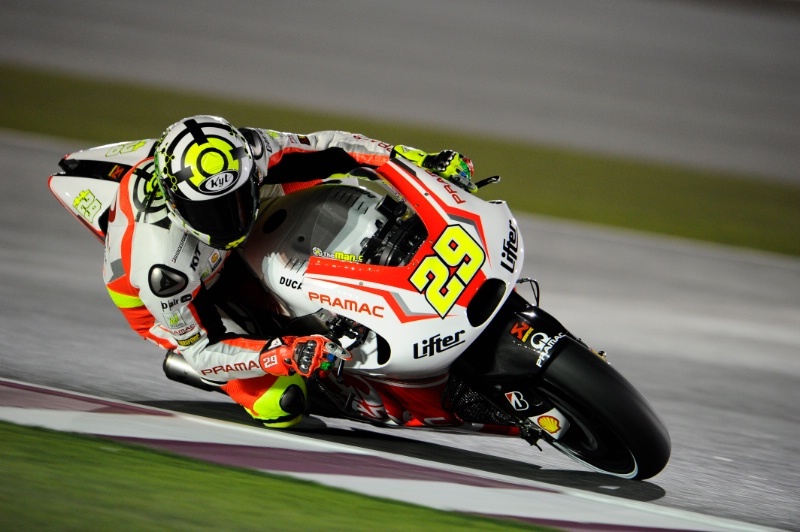 Qatar MotoGP, Losail - Free Practice (2) Results Mar-21-14. Andrea Dovizioso shot to second using the soft rear tyre at the end of the session, which Aleix Espargaro then used to set the best lap of the weekend so far. 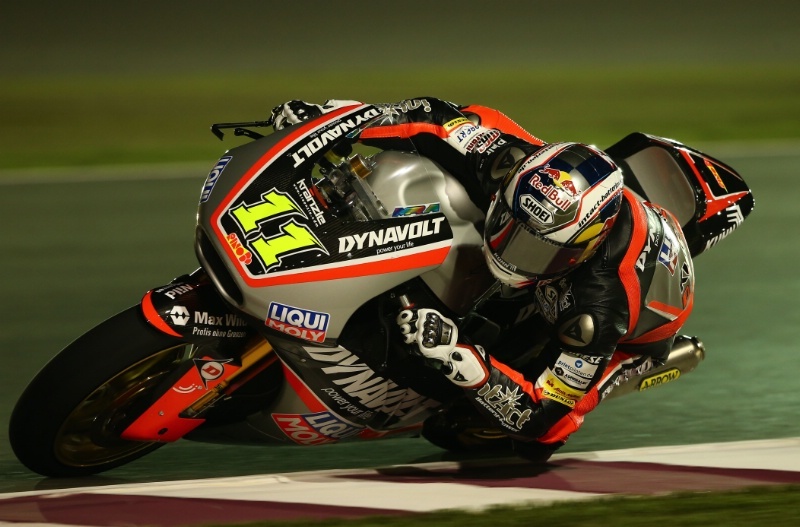 Qatar Moto2 - Free Practice (3) Results Mar-21-14.